Campus Auxiliary Services has lowered the number of its employees, student employee hours and dining hall hours for the semester. These reductions have drawn ire from some students. In order to keep the price increases below 3.5 percent, four managers from the operating budget have been let go and student labor hours have been reduced by about 10,000, according to CAS Executive Director Mark Scott. Along with employee and labor hour decreases, dining hours have been cut back. Max Market now closes an hour earlier, at midnight as opposed to 1 a.m. and Fusion Market is closed on Saturdays. Fusion Market and Mary Jemison dining hall each close two hours earlier than last semester, at 9 p.m. and 10 p.m. respectively. In order to decide when to make these changes, Scott and his team tried to evaluate when the dining areas and cafes were the busiest and emptiest during the day. The changes in CAS dining hours intend to fit the students’ needs, according to CAS Marketing Manager Becky Stewart. 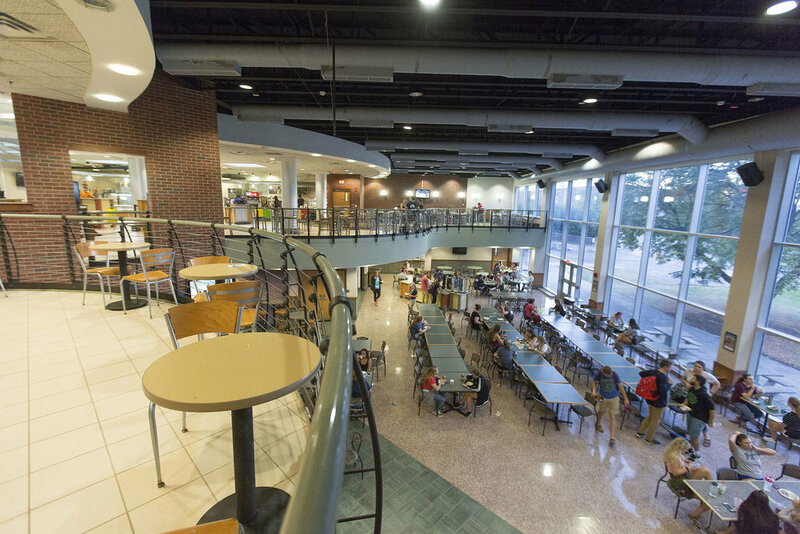 The increased hours of Dash at the Commons allows students on South Side to eat on the way to their morning classes while CAS continues to renovate Red Jacket Dining Hall, Stewart said. As further evidence of changing student interests, Scott pointed out that more and more students are using their accounts at The Big Tree Inn, Chowhound and vending machines, which are all further from North Campus and do not require passing through construction areas to reach. Davis also believes that Dash often is not ideal as an option for meals. One of the major changes in student behavior is the decreased interest in the late night dining options. Students are utilizing late night dining less and less, according to Director of Culinary Operations & Executive Chef for CAS Jonna Anne, who believes this phenomenon comes as a result of students taking earlier classes. Anne also mentioned that in order to try to fulfill students’ needs, CAS has explored 24-hour dining options and found them to be unfeasible. When Max Market was open 24 hours in the past, service would stop between 1:30 a.m. and 5:30 a.m., according to Anne. Scott looked to the campus construction as a possible influencing factor in terms of where students are dining. “People are kind of programmed in their ways and our students are as busy as anybody else. They’re on limited schedules and having to go around those fences, it may take a few more minutes and those are precious minutes,” Scott said. With business at dining areas and Late Night dipping, Scott expects that CAS may analyze student patterns and demands once it finishes Red Jacket renovation. News editor Malachy Dempsey contributed reporting to this article.